TensorFlow is a powerful open source software library for performing various numerical data flow graphs. With its powerful resources, TensorFlow is perfect for machine learning enthusiasts, offering plenty of workspace where you can improve your machine learning techniques and build your own machine learning algorithms. Thanks to its capability, in recent times TensorFlow definitely has made its way into the software mainstream, so everyone who is interested in machine learning definitely should consider getting their hands on TensorFlow practices. The deep-learning revolution has brought us driverless cars, the greatly improved Google Translate, fluent conversations with Siri and Alexa, and enormous profits from automated trading on the New York Stock Exchange. Deep-learning networks can play poker better than professional poker players and defeat a world champion at Go. 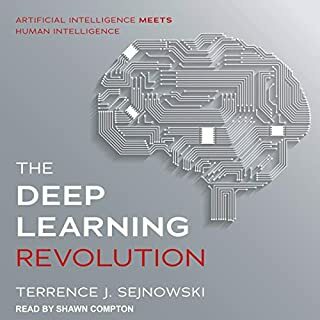 In this book, Terry Sejnowski explains how deep learning went from being an arcane academic field to a disruptive technology in the information economy. Deep Learning with Python introduces the field of deep learning using the Python language and the powerful Keras library. 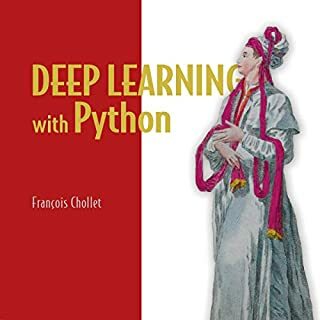 Written by Keras creator and Google AI researcher François Chollet, this audiobook builds your understanding through intuitive explanations and practical examples. You'll explore challenging concepts and practice with applications in computer vision, natural-language processing, and generative models. By the time you finish, you'll have the knowledge and hands-on skills to apply deep learning in your own projects. Machine learning is the science of getting machines and computers to act and learn on their own without being programmed explicitly. In just the past decade, this field has given us practical speech recognition, self-driving cars, a greatly improved understanding of the overall human genome, effective web search and much more. Therefore, there is no wondering why machine learning is so pervasive today. 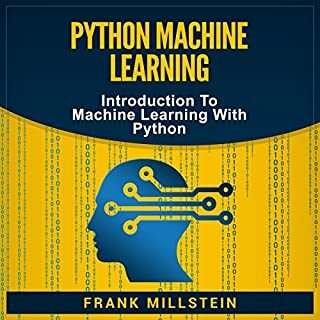 In this audiobook, you will learn more about interpreting machine learning techniques using Python. 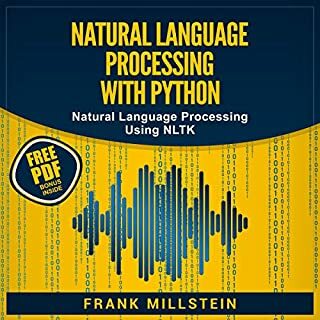 This audiobook is a perfect beginner's guide to natural language processing. It is offering an easy-to-understand guide to implementing NLP techniques using Python. Natural language processing has been around for more than 50 years, but just recently, with greater amounts of data present and better computational powers, it has gained a greater popularity. Given the importance of data, there is no wonder why natural language processing is on the rise. If you are interested in learning more, this audiobook will serve as your best companion on this journey. This should not be an audiobook. Ready to crank up a neural network to get your self-driving car to pick up the kids from school? Want to add "deep learning" to your LinkedIn profile? Well, hold on there.... Before you embark on your epic journey into the world of deep learning, there is basic theory to march through first! Take a step-by-step journey through the basics of neural networks and deep learning, made so simple that...even your granny could understand it! Really in depth coverage of neural networks! Big data can tremendously improve a company’s performance. Three comprehensive manuscripts in one audiobook. Listen to this audiobook now if you want to learn more about machine learning! Machine learning - two-audiobook bundle! Its a known fact that computers can store exponential amounts of information on their hard-drives. But our human brains have a set capacity and just cannot compete against technology on this front. Engineers and scientist are discovering ways to model our human brains and integrate certain aspects of it to create what we know as "neural networks". Take this opportunity to learn about the next big innovation in technology and real-world applications of the next potential trillion-dollar industry (artificial intelligence) that will take the world by storm. Under the aegis of machine learning in our data-driven machine age, computers are programming themselves and learning about - and solving - an extraordinary range of problems, from the mundane to the most daunting. Today it is machine learning programs that enable Amazon and Netflix to predict what users will like, Apple to power Siri's ability to understand voices, and Google to pilot cars. Artificial intelligence is changing our world faster than we can imagine, and it will impact every area of our lives. And this is happening whether we like it or not. You might have heard that many jobs will be replaced by automation and robots, but did you also know that at the same time a huge number of new jobs will be created by AI? This book covers many fascinating and timely topics related to artificial intelligence, including: self-driving cars, robots, chatbots, and how AI will impact the job market, business processes, and entire industries, just to name a few. Are you confused about what all the rage behind artificial intelligence is and would like to learn more? This audiobook covers everything from machine learning to robotics and the internet of things. You can use it as a nifty guidebook whenever you come across news headlines that talk about some new advancement in AI by Google or Facebook. By the time you finish listening, you will be aware of what artificial neural networks are, how gradient descent and back propagation work, and what deep learning is. 60% if the book is a guy reading you Python modules in their entirety. I have asked Audible for a refund. Deep learning, and only aimed to introduce you to Keras, I would have given it 5 stars. However, he's clearly targeting a wide audience and assuming no background knowledge, the book goes in too many directions at once and does a poor job in several. The main issue with Deep Learning is that it requires a lot of experimentation. Just a basic example takes hours to train and to see it work. There are many applications of Deep Learning, and you can bet that adapting the tools to your needs is going to be a very thoughtful experience. It is a very useful book, presenting the deep learning techniques on various real-life examples, outlining exactly how to write a Python code to tackle them. Very clear exposition, does the math without getting lost in the details. Although many of the concepts of the introductory be found elsewhere, they are presented with remarkable cut-to-the-chase clarity. That is really a good book. I read this book and i can learn so many things about Convolution Neural Networks. The author writes the whole basic things, rules and so many important tips. Deep Learning with Keras is a great resource to get hands-on Deep Learning experience using the Keras library in Python. This is an extremely accommodating and helpful book for the beginners. From this book, you will find out about how convolutional neural systems really work. I am at the stage of accepting who I am and wanting to develop my gift so again, thank you! Fantastic introduction to deep learning for all levels. I've taken a few online courses in DL and ML, and this book is a great learning resource that offers thorough yet easy-to-understand explanations of complex concepts. Helpful visuals and hands-on examples to drive concepts home! if you have some patience and time, but it gets in the way of progressing through the book. I recommend this as a good, short intro to deep learning. I tried the sample online from audible and it seemed this book might actually work. However, having bought the thing, I discovered much to my chagrin that the narrator just reads out endless lines of Python code. It’s a pretty cheap narration too where the narrator refers to “casual” rather than *causal* effects. Sometimes he just gets confused a makes obvious mistakes and there isn’t any cut/splice/correcting of the dialogue. Maybe it works as a physical book but it fails miserably as an audiobook. A well-designed book which is organized as a tour of different kinds of deep learning. The order in which the learners are treated is a little unusual, but it does a good job of bringing up the more abstract issues in a way that makes them easy to understand. 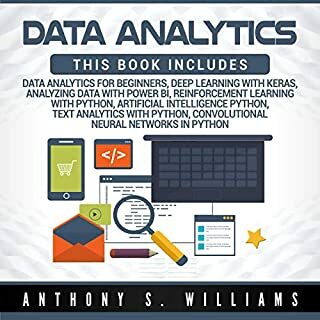 If you are interesting in deep learning and have at least some machine learning education already, this book would be an excellent purchase to expand your knowledge. Finally, the introduction to Keras, a deep-learning framework for Python is outstanding. If you're looking into Keras (or one of the other deep learning frameworks) this book is a fantastic starting point! Arguably, the best book on deep learning that's out there. Very clear explanation of material presented in orderly fashion. Buy it and you'll love it! The theoretical explanations might seem somewhat insufficient, but, the practical parts are the best. You can be able to build your own networks easily after listening this audio book. 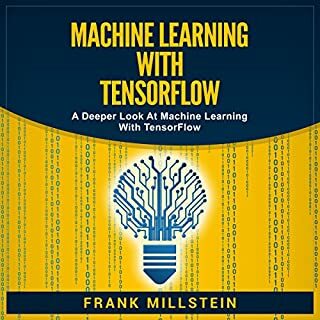 If you already explored the field of deep learning, this is a great book to help take your exploration to the next level. I am able to use Keras more effectively to quickly try different architectures. It's great book and worth the spend. 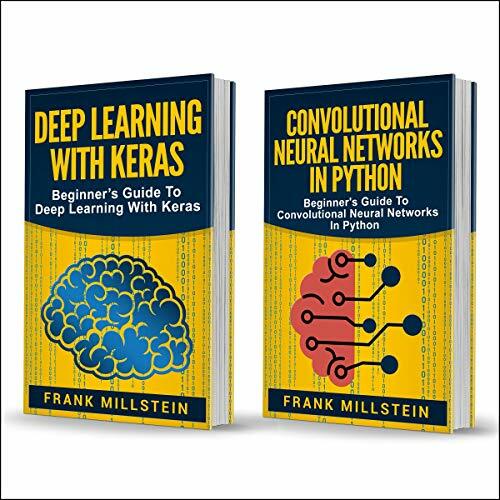 Overall this book is more about practical techniques and python code (in Keras) than about deep learning math/theory. This is probably what the majority of readers are looking for. It's a great synthesis of the most important techniques now. I finally really get what each of the parts of the training and optimization do. Also love the explanations in code instead of in mathematics. I feel I have a much better intuition about vectors than I did before. Having reviewed many books in the area of deep learning, I can honestly say this is probably the best book I have come across so far. However, I came to this book already having a solid understand of deep learning theory.